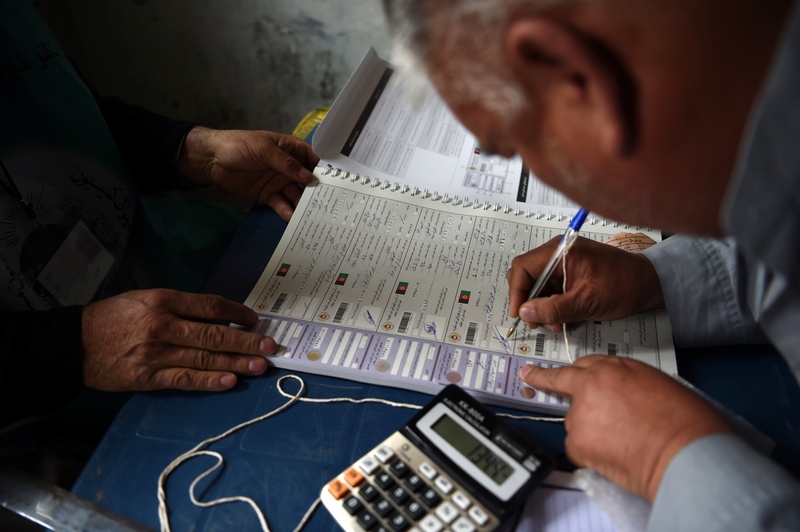 KABUL -- Afghanistan's Independent Election Commission (IEC) is urging citizens to continue to register to vote despite militant efforts to disrupt the parliamentary election scheduled for October 20. "In some areas the enemies of our homeland have tried to disturb the [election] process but fortunately to no avail," IEC Commissioner Sayed Hafizullah Hashimi told Salaam Times. "We thank and appreciate our people who, despite security threats, continue to come and register," he said, encouraging others to join the process. "We are at war, and this election is being held during wartime," Hashimi said. "Participating in elections is the only solution to free our country from these disputes." The IEC, which is overseeing preparations for the vote, hopes to register up to 14 million adults at more than 7,000 polling centres. By May 7, about 1.3 million adults had registered, three weeks after the two-month long process began. The IEC it trying to raise awareness and boost registration through television and radio campaigns, announcements in mosques and leaflet drops from airplanes, Hashimi said. "The voter registration process is not solely for legislative and district council elections," he added. "Those who register now can also participate and vote in presidential elections" scheduled for 2019. On April 29, IEC and Afghan security officials met at the IEC office in Kabul to discuss militant threats and develop a plan for ensuring security at national identification card distribution and polling centres. "Emergency measures have been taken in some of the centres where security threats existed," Najib Danish, a spokesman for the Interior Ministry, told Salaam Times. "In the near future, a comprehensive plan will be put in place to ensure the security of polling stations." During the meeting, Gen. Murad Ali Murad, deputy minister for security affairs at the Ministry of Interior, announced the implementation of security operations in all 34 provinces. In Laghman Province, for example, Afghan National Defence and Security Forces (ANDSF) have cleared 40 villages of the Taliban, paving the way for residents to register to vote, according to officials. The Afghan government, tribal elders, religious scholars and the international community have repeatedly called on the Taliban to join Afghan-led peace talks. Afghan President Ashraf Ghani February 28 unveiled his government's plan to open peace talks with the Taliban, including eventually recognising them as a political party. In return, Ghani said the militants should recognise the Afghan government and constitution, a perennial sticking point in past attempts to open talks. The Taliban responded to Ghani's peace plan with silence, indicating a debate among the militants. The Taliban's continued silence has been punctuated by a number of recent attacks on national identification card distribution and polling centres. On April 17, unknown gunmen stormed a voter registration centre in Ghor Province, kidnapping three IEC employees and two policemen, TOLO News reported. Three days later, on April 20, unknown gunmen attacked a voter registration centre in Qala-e-Naw, Badghis Province, killing a police officer assigned to guard the centre. On April 22, a suicide bomber detonated his explosives in a large crowd queueing to collect national identification certificates as part of the voter registration process in Kabul, killing 60 people and wounding more than 100. The "Islamic State of Iraq and Syria" (ISIS) claimed responsibility. A blast April 29 near a registration centre in Jalalabad, the capital of Nangarhar Province, wounded six people, TOLO News reported. On April 30, ISIS carried out a double suicide bombing near the National Directorate of Security headquarters in central Kabul, with the second blast timed to target journalists and first responders rushing to the scene. At least 25 people died, including nine journalists, and 49 others injured. 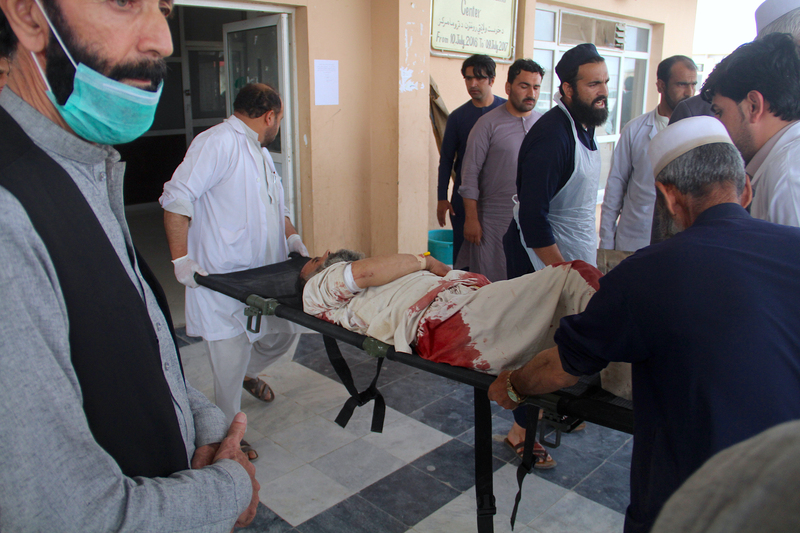 Another suicide bombing Sunday (May 6) killed 17 people and wounded 36 at a mosque in Khost Province that was being used as a registration centre. A female election worker was among those killed. There was no immediate claim of responsibility, but the Taliban denied involvement. It is impossible to verify who is behind the recent terrorist acts, despite claims of responsibility or denial. The Taliban often does not claim responsibility for attacks that kill many civilians, and it would not be the first time ISIS claimed responsibility for an attack when evidence points to Taliban culpability. "Through their brutal and inhumane attacks, the enemies of Afghanistan want to deter and dissuade [us] from participating in elections," said Mahdi Mubasher, head of the Kabul-based civil society organisation Afghan Citizens Movement. "Fortunately, such attacks cannot stop [voters] from participating in elections," he told Salaam Times. "We urge them to register and participate in the election with resolute determination." Mubasher also urged the Taliban to seek out legitimate ways to gain political influence. "Instead of targeting voting centres and murdering innocent [civilians], I call on the Taliban to come and participate in election," he said. "This way, they too can come to power... [and have] the public vote for them." "Our people have proved in previous elections that they are not afraid of anything and that they will vote for their representatives, despite all threats," Habibullah Mohammadi, a student at Dunya University in Kabul, told Salaam Times. "By attacking the innocent, the Taliban and ISIS -- who do not want peace in our country and do not want voters to elect their representatives -- are trying to scare them, but to no avail," he said. "The Taliban claim that they are fighting for the sake of [the Afghan] people," Mohammadi said, adding that if their claim is true, then participating in elections is their best chance for political participation. "This way, they can serve the public should they be elected into the parliament," he said. "More important, this will show whether voters will choose them as representatives in parliament." "The only solution for us to get rid of our current challenges is to hold the election," Sayr Bahawi, a member of Afghanistan's national taekwondo team, told reporters April 26 as he was registering to vote. "Participation in elections is a national duty. We came here together today in order to encourage [citizens] to register and to vote, and we urge them to do so," he said. 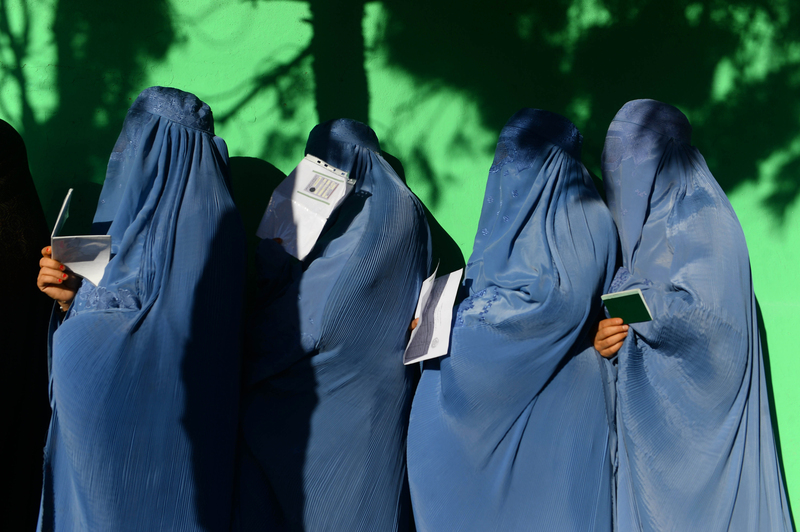 "By targeting voting centres, terrorists are trying to dissuade the public from registering to vote and participating in elections," Rahmatullah, a civil society activist in Kunduz Province, told Salaam Times. "Our people, however, are not afraid." "During the previous presidential election [in 2014]... terrorists exploded two bombs near a voting centre just before the voting was set to start," he said. "Fifteen minutes later, however, [voters] came to the same centre and started to cast their ballots with no fear." Elections are often thought of as the heart of the political process. Perhaps no questions in politics are as crucial as do we elect the politicians who rule over us, and under what rules are these elections held? Elections are seen as nothing less than democracy in practice. They are a means through which the people can control their government, ultimately by ‘kicking the rascals out’. I therefore urge my dearest compatriots to come forward and demonstrate a meaningful and overwhelming popular participation in the election and elect their own future president someone who is loyal to the national aspiration and national unity among the Afghans who is committed to up holding human rights, justice, and bringing about peace and progress. The Afghans must avail themselves of this great opportunity to exercise their democratic rights and cast their votes in the ballot box despite the odds. I hope my beloved compatriots will thwart the present mafia parliamentarians and install a sound parliament and subsequently elect a president of their choice through the power of their ballots in free and fair election. Long live the heroic and freedom loving people of Afghanistan.